Another First for African American Women! These sisters are just awesome! 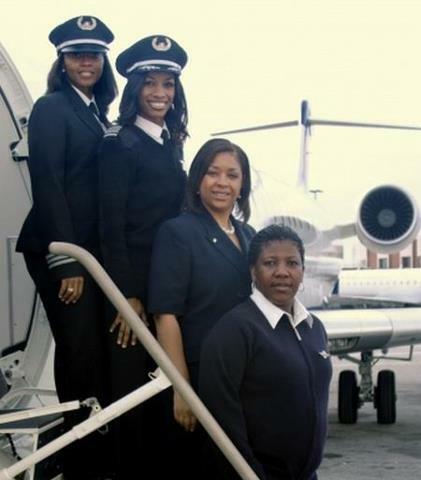 Delta stepped it up a notch with this all-female, African American aviation crew – making history. Kudos to Captain Rachelle Jones, 1st officer Stephanie Grant & flight attendants Diana Galloway and Robin Rogers. This entry was posted in Black Culture (African American), Black History (African American), Various Interesting Stuff and tagged African American, Black Women, History. Bookmark the permalink.